A major automotive logistics company based in England’s Midlands wanted to maximise capacity in their new £32m, 19,500m2 distribution warehouse. This impressive facility needed to hold five months inventory of automotive parts – a total of 240,000 product lines. 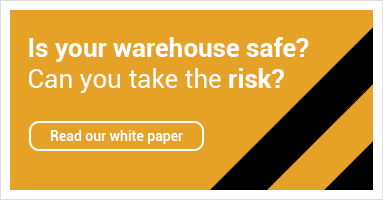 As they provide a next day delivery service to 140 car dealers, the company operating the warehouse wanted the building to remain fully operational during any installation. To find suppliers who could deliver a complete turnkey package they consulted the market for options and drew up a list of possible suppliers including Teccon. As one of Dexion’s top distributors, Teccon was a leading contender. Following an extensive consultation exercise, which included competitive tendering and producing impressive design concepts, the client chose Teccon to execute this project. Teccon’s design concepts featured a two-tier mezzanine floor (approx 2000m²) with shelving for parts storage. Teccon’s first task was to ensure that the structure could take the planned loads of more than 460kN m2 on spans greater than 8m. This involved taking core samples from the concrete floor slab to be tested, which revealed that the mezzanine floor would require piling. Subsequent detailed plans were submitted for building regulation approval. With the concrete slab strengthened, the next challenge was working out how to build the mezzanine floor over 16 docking bay doors, install sprinklers, lighting, fire alarms mesh partitioning and over 320 bays of Dexion’s pre-galvanised HI280 shelving while the warehouse remained fully operational. Teccon solved this by carrying out all installation work between 22.00 pm – 6.00 am, leaving the remaining working day unaffected by the transformation that was taking place each night. Despite these hurdles, the installation went very smoothly and the entire project - from initial order to completion - took just 16 weeks. This was largely down to Teccon’s choice of products and establishing clear and focussed channels of communication with the decision makers, so that any issues could be identified and dealt with swiftly. “Teccon is a highly experienced company, they managed the installation for us very efficiently, whilst minimising the interruption during the new mezzanine build, which was a main hurdle. We were pleased with the way they managed and communicated to all stakeholders and were happy that the build was completed within the agreed time scales.